Excellent low Surface Finishes achievable using PVA Polishing Wheels with Coolant System. Heavy Duty Cast Iron Body. All the Slides are precision Hand Scraped. Dressing Attachment for Polishing & Regulating Wheels. Weight of the Machine - 850 Kgs. Polishing Wheel Size: 450 Dia X 200 MM wide. 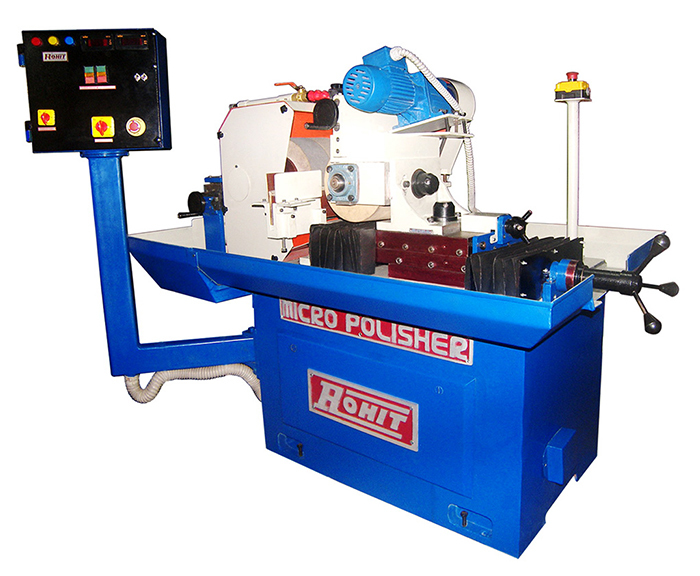 For Micro Finishing of Automobile Components.